Recharging a Toyota plug-in hybrid or all-electric vehicle could in future be as simple as parking the car. 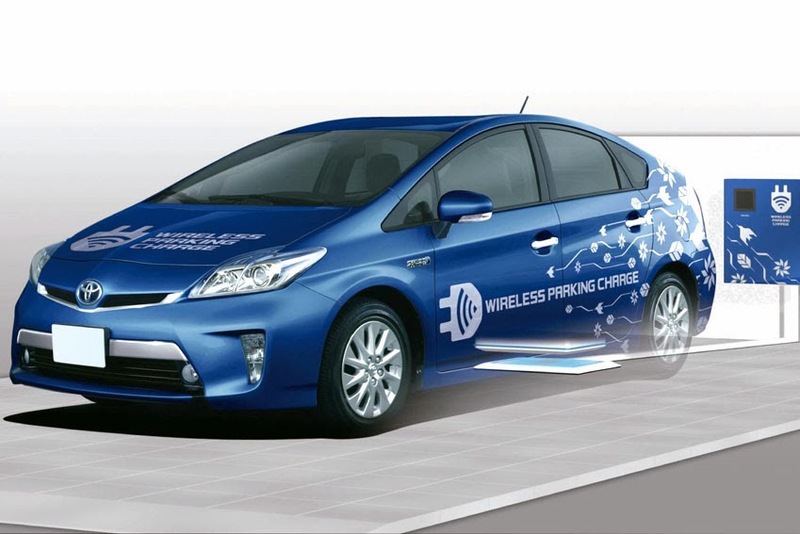 Toyota has announced verification testing is to begin later this month of a new wireless battery charging system it has developed for vehicles that use an electric powertrain. The new technology allows a vehicle to be charged simply by parking it in alignment with a coil set into the surface of the ground. This makes the process simpler and easier, dispensing with cables and connectors. The Toyota charging system transmits electricity using magnetic resonance created by changes in magnetic field intensity between a transmitting coil in the ground and a receiving coil in the car. It is designed so that it can reduce any loss in power transmission efficiency caused by misalignment or height differences between the coils. The system is being developed with a future market launch in mind. Measures have been taken to minimise any electromagnetic interference with nearby equipment, and the transmitting coil in the ground has been madde robust enough to withstand vehicles driving over it. To help the driver align the car correctly, Toyota has developed a function for its Intelligent Parking Assist system that shows the position of the transmitting coil in a parking space. The test programme involves three plug-in hybrid used by homes in Aichi prefecture in Japan. It will assess user satisfaction, the system's ease of use, misalignment rates and charging behaviour, such as how often charging takes place and timer-based charging it used. Toyota will use the test results to develop the technology further, with the ultimate aim of bringing the system to market. Toyota believes its commercialisation will help promote the use of electrified vehicles and mobility options that are smarter, easier to use and kinder to the environment.